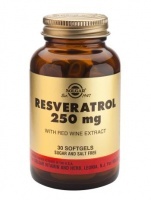 Resveratrol is an excellent antioxidant that may provide nutritive support for heart and cardiovascular health. Research shows that resveratrol may be the reason why some European countries have a population with better cardiovasular health. A defence against attack from plants.